Yesterday the CEO of iGEA, Ron Curry, published an open letter to Senator Mitch Fifield, the Minister for Arts and Communications, and the person in the federal government that has ultimate responsibility for the videogames industry. Today, in senate estimates, Greens senator, Scott Ludlam, as the most vocal champion for videogames in politics, took the opportunity to grill Senator Fifield about the behaviour and attitude towards videogames that he, and the Australian government, have expressed since coming to power. 1) Senator Fifield does agree that Arts and Communications is the right portfolio to have oversight into videogames. It's one of the most clear answers that he makes in the 15-minute Q & A session. Though there are other portfolios that could conceivably handle video games - such as Industry - the creativity and digital entertainment nature of games makes it a closer and more natural fit for the minister with a mandate to represent the arts at government level. 2) Senator Fifield hasn't done anything about games, at all, and clearly has no intention to. Nearly 400 days ago a senate enquiry was made into video games and Australia, and this exhaustive process produced a series of in-depth recommendations for the Australian government in order to restore the local industry to health. When asked about the government's response to those recommendations, Senator Fifield was cagey in the extreme, claiming that a wide range of different bodies needed to come together to draft a response, and that though a response had been drafted, it had only just happened and he hadn't had the chance to read it yet. Furthermore, the draft response apparently needs further consultation with other bodies before the government can progress with it. In the meantime the budget has been handed down, and there was no indication of funding for games in that budget, leading Senator Ludlam to conclude that the earliest the games industry could hope for with regards to government support would be the following budget, next year, for the 2018 through 2019 budget. Again, Senator Fifield was cagey about this, and refused to provide an answer for whether the government has any intention on supporting the games industry on any level. 3) The organisation responsible for drafting the government's response to the senate recommendations opted for no further consultation with the games industry. This also speaks to Ron Curry's statement in his open letter from yesterday that Senator Fifield had not been even the slightest bit engaged with the games industry, had sought no input nor advice for it, and had shown no apparent concern for its health and growth. This is despite gaming being a substantial economic and skills opportunity for a country in desperate need of both. In summary, Senator Fifield is has shown little competence or interest in doing his job, as far as the games industry is concerned. 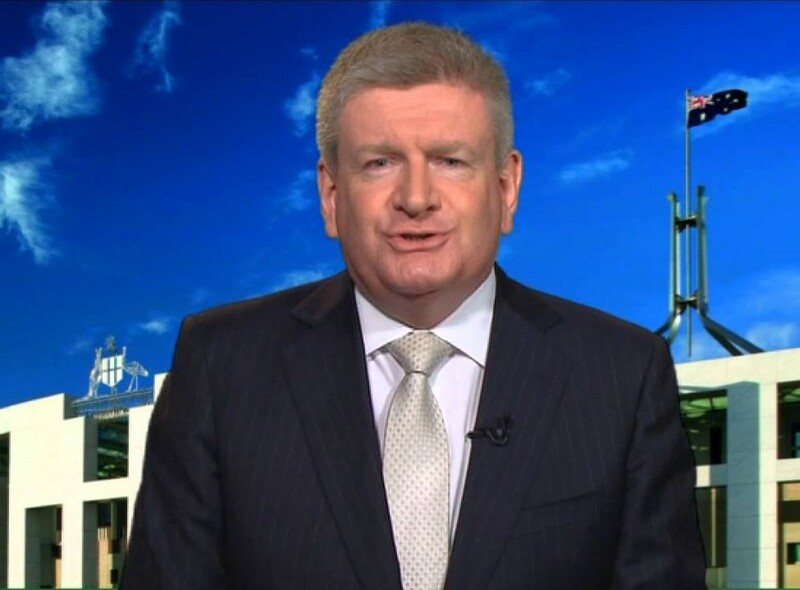 As Senator Ludlam alludes to at one point, this might be generational; Senator Fifield can't take games seriously because he sees them as a frivolous passtime with no real value to Australia. Which is amusing, because that's exactly how the Australian film industry was treated, and it went from being a world leader to being a struggling micro-industry, and has never recovered from there. Australia was once a leader in game development too, and we're all feeling the slide. The frustration and anger with the lack of insight and initiative from this government is palpable. On the plus side, I now know that Senator Ludlam uses a Razer laptop. Is this guy not the most awesome senator we've ever had?